Black Napkins: Where Are They Now? Home 2018 Black Napkins: Where Are They Now? The idea was to keep your clothes clean without leaving a linty mess, but are black napkins still useful or are they pretentious relics of the past? Pavilion at the Four Seasons Hotel in Newport Beach is gone now, replaced by Oak Grill at the Fashion Island Hotel. But Brittany Valles, executive chef at Oak Grill and Aqua Lounge, says black napkins are here to stay, especially during daytime dining hours. We decided to take this moment to check in on the current status of the fuzzy furor. 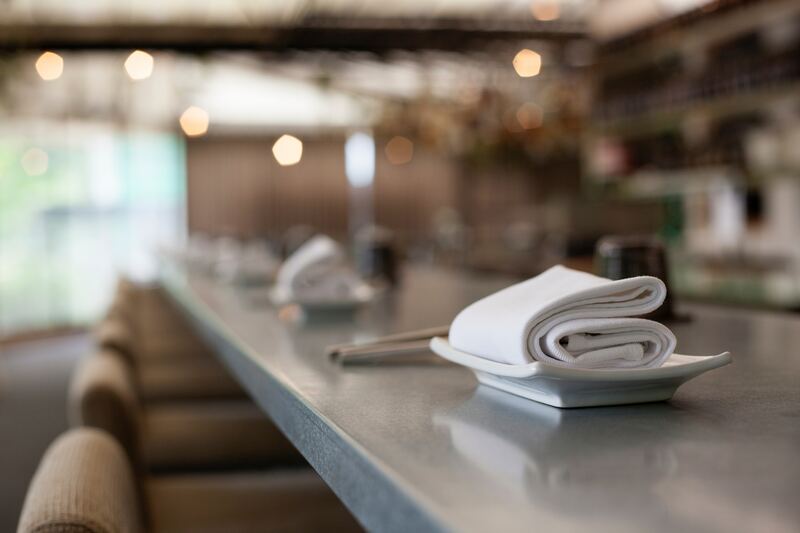 For many restaurants today, black or dark napkins as part of a theme or overall design have replaced white entirely, eliminating any need to swap out napkins for diners. At The Cannery in Newport Beach, navy napkins fit nicely into the restaurant’s nautical theme. Others will gladly swap them as diners wish. And still others are seeing a decline in requests for black napkins. Status symbol, anachronism, or just plain good customer service, many diners still appreciate the effort to keep their clothing looking sharp.